We reviewed the previous version of this book in Issue 30 of our magazine. This new hardback version will be out this week. The Beatles LA Tour - Have you tried it? 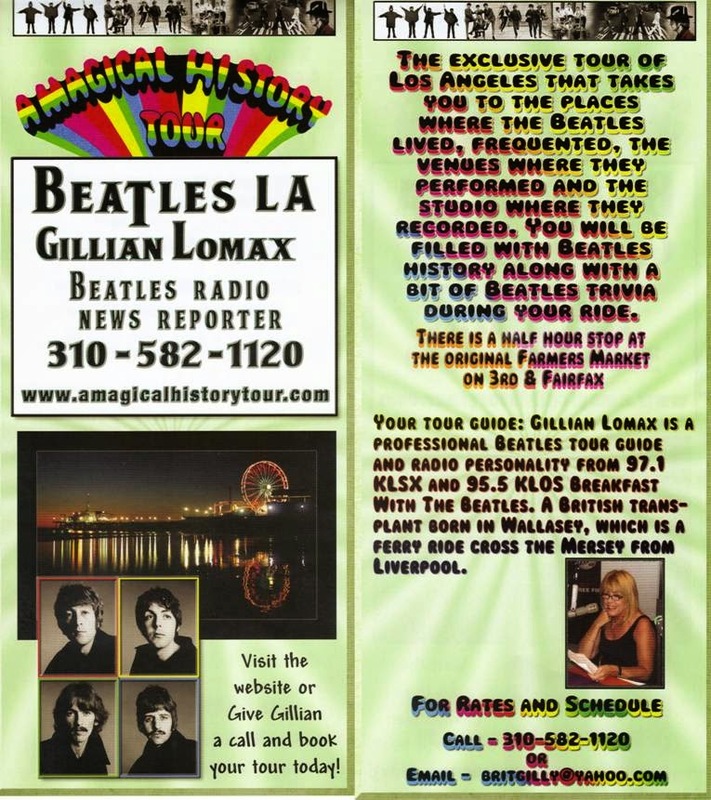 Shout out to our BBFC Members: Have you taken this Beatles Tour in Los Angeles? If so, we'd love to receive a review of the tour to include in our next magazine. If you are interested in submitting a review, send us a note here. Even if you have been inside Abbey Road Studios during one of their rare tour openings, you will love this interactive tour courtesy of Google. As you tour through the various studios, you can try your hand at mixing tracks, listen to actual recordings and examine every little corner. There is enough in here to keep you busy for days. Enjoy! Click on the image below to launch. When I received this book in the BBFC mail, I wondered what this was all about. 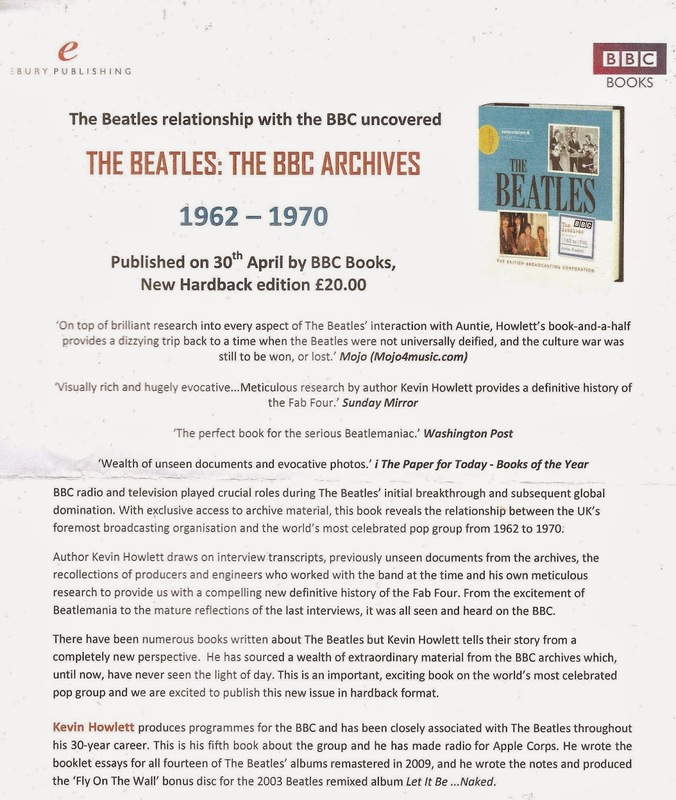 Well I found it a fascinating read, with some exclusive photographs, not just of The Beatles, (of which there are many on and off stage), but other 1960’s stars such as Cliff Richard, Eden Kane, Joe Brown, Gene Vincent and the Rolling Stones to name a few. It is the story of Jack Vale, written by his son John and John’s wife Tracey. So who is Jack Vale? Jack was a friend to the stars when they appeared in Blackpool, being Cliff Richard’s bodyguard for a while and was Brian Epstein’s main contact for arrangements when the Beatles played Blackpool. A copy of a letter to Jack from Brian Epstein in August 1963 is included in the book, confirming an agreement between himself and Brian. You have to ask, why did Jack Vale not come forward, before his passing a couple of years ago? His son and daughter-in-law have put this good book together, but see the Goldman book as one of the best written about John! I think a number of us would disagree on this point. On the whole it is a good book and there are some excellent personal photographs here. It’s a fascinating story. It’s just a pity that Jack didn’t tell it himself, as I’m sure there is more that is untold, and a fitting tribute from his family. For anyone interested in the music of the early 60’s and Blackpool as a centre of entertainment, this is a good read. Special discount for BBFC members: To get the book for the discount price of £5.95 plus £1.20 postage, order directly from the publisher and mention your BBFC membership. I first met Cynthia at the book launch for Stu at the Royal Academy of Arts in 2002. 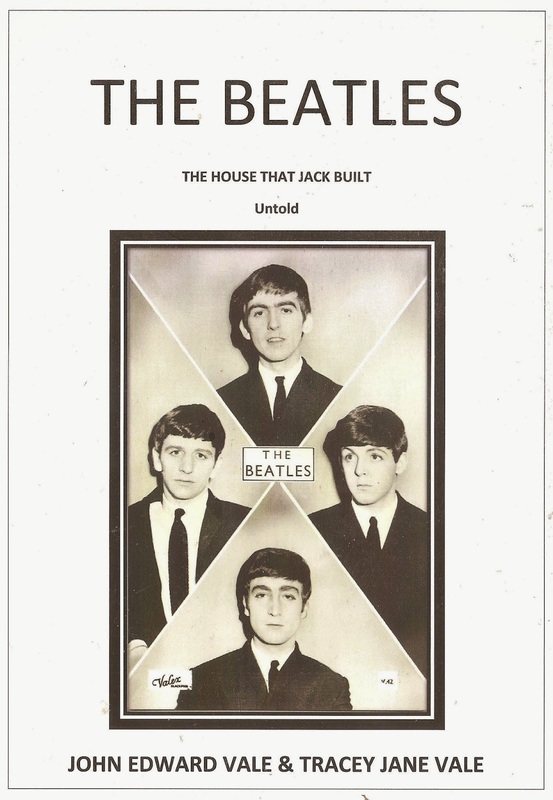 The book was written by Stuart Sutcliffe's sister Pauline and Cynthia had an input into the book. She was very supportive of Pauline at the event and she mingled amongst those of us invited. She kindly signed for me as we had a glass of wine and came across as a very polite and normal human being. 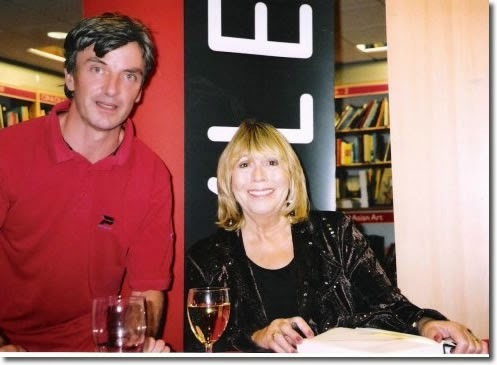 In 2005 it was her turn to promote her book simply called John. Some of us from the BBFC attended a signing at Foyles in London. She was quietly spoken at the interview and spoke fondly of John throughout. I asked her what Julian was up to and she replied that he was working on new material. After the interview she signed copies and posed for photographs. These two meetings rank highly in my Beatle events and I will always treasure those few moments where we spoke. Our thoughts are with Julian and everyone close to Cynthia at this time, and hope that people respect their privacy at this time. Thank you Cyn. God bless you. May you rest in peace.